“The school day, week, month, term, and year need to be planned for a mixture of routine and variation, as children need a little of both, and the kinds of learning we would like them to experience have different requirements”….pp 97, NCF (2005). This statement makes it clear that organizing experiences using a time-table at the school level needs to be flexible, not static or rigid. But what happens in reality? This article is based on my experience of framing a time-table at a higher education institution at the University level for two years and my visit to government and private schools during my internship of B.Ed, B.El.Ed and D.El.Ed programme in the last five years. My arguments are largely embedded in the ‘social’ notion for the importance and complexity of particular subjects. I suggest that the framing of a time-table effectively serves a positive purpose in the curriculum. It must be stated at the outset that I am not generalizing my experience to every school and their respective time-tables. Theoretically, we know that a time-table is a tool for organizing the teaching-learning process in a school, for bringing curriculum to the students and for the effective working of the school system. One of the important tasks performed by a time-table, besides organization, is the allocation of resources (i.e., teacher’s time, pupil time and rooms).The reason behind this is that a time-table provides the framework and the direction in which school work can proceed as it helps properly distribute work and resources among teachers and students. As the framing of a time-table depends on several conditions, factors, aspects, and principles, it is generally considered one of the most difficult jobs of school administration. There are many principles which govern and regulate the framing of a time-table. Some of them are relative importance and difficulty value of subjects, incidence of fatigue, principle of play and recreation, maximum utilization of resources, principle of elasticity, etc., (Sandhu, 2000). “In society, certain subjects are considered difficult, certain subjects are given more importance and a few subjects are given less importance in the curriculum” – how is the above statement related to the framing of a time-table? Why are some subjects taught in the morning and others in the afternoon? How does the organization of scholastic and co-scholastic areas take place in the time-table? What’s the outlook of recess period in the time-table? Student 1: In my school, science, maths, and English were generally kept during the first half of the day. Student 2: SUPW was generally considered a free period in my school. Student 3: Lab classes usually occurred in the second half of the day. It always emerges in the deliberation that science and maths are considered more important than others subjects because they are associated with job opportunities, career growth, and status in society. This notion also violates the principle of fatigue. As students are continuously studying the IMPORTANT subjects, they get tired easily and this stifles their creativity. An English teacher at a government school, west district, Delhi, said that “SUPW class in the 9th class time-table was placed in the 5th period (11:05 am to 11:40 am) just to give a break to children after continuous study for four periods. I want to reiterate that the position of work education period in the time-table somewhere reflects its position and status in the society, so proper position and time frame for the same in the time-table might help in raising its status. In one of the private schools I visited, the principal was quite inclined towards the visual arts, and this was reflected in its curriculum, and hence was given prime importance in the time-table along with the scholastic areas. The outcome of this was evident through the various trophies, awards kept in the principal’s room and also, through the work of students displayed at the corridors. Hence, the vision of the various stakeholders in the school system also affects the curriculum. The recess/lunch period has always been a part of the time-table for as long as I remember. The rationale for introducing recess is quite simple – a child needs a break after reasonable amount of work and to make them more productive. “Politicians and School administrators” often use the first argument – recess is a waste of instructional time-to demonstrate that they “mean business” in making school more effective” (Pellegrini, 2008). This statement gets reflected at the ground level in India when we see that the time of recess generally varies from 20-25 minutes and only once in a day. NCF (2005) also argues that the time-tables that do not give children enough breaks to stretch, move and play, and that it deprives older children from play/sports. This is one of the common sources of physical discomfort among children. My suggestion for improving this would be to enhance the frequency of recess periods instead of having a single recess; this would lead to better results, improve the concentration, and attentiveness of children. This argument finds support in the work of Anthony Pellegrini – author of Recess – Its role in Education and Development”, where he showed that more frequent recess breaks lead to more attentiveness of children in the classroom. This is illustrated by the experience in Finland where students are given several recesses daily in their time-table and students have shown a remarkable performance (Walker, 2014). The load on children is not just physical. The amount of learning that is there for all children, irrespective of the category or type of schools where they study (Learning Without Burden, 1993) is also a burden. We can try to minimize this load if we frame the time-table keeping in mind the needs of children, rather than simply following an age-old norm. 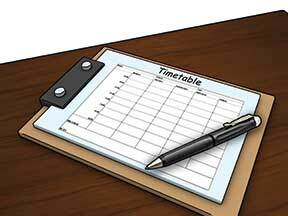 The time-table is not only a structuring device but also a tool to aid in the over-all development of the learners. A creatively designed time-table can help challenge the certain notions prevalent in society which are related to the importance of ONLY certain subjects like mathematics and science. The time-table is a powerful tool which can help children gain the space and time to reflect, to explore, to question all that they do or learn in school. MHRD (1993). 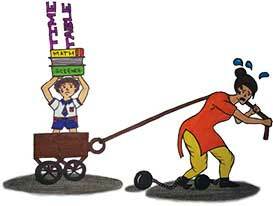 Learning without Burden. Delhi: MHRD. NCERT (2005). National Curriculum Framework. Delhi: NCERT. NCERT (2007). Position Paper: National Focus Group on Work and Education. Delhi: NCERT. Pellegrini, A.D. (2005). Recess: Its role in education and development. Mahwah, NJ: Erlbaum. Pellegrini, A.D. (2008). The Recess Debate A disjuncture between Educational Policy and Scientific Research. American Journal of Play, 2(1), 181-191. Sandhu, K. (2000). School Organisation and Administration. New Delhi: Sterling Publishers Private Limited. Walker, T. (2014). How Finland Keeps Kids Focused Through Free Play. The Atlantic. Retrieved 25 May 2016, from http://www.theatlantic.com/education/archive/2014/06/how-finland-keeps-kids-focused/373544/#. The author is Assistant Professor at Shyama Prasad Mukherji College, University of Delhi. She can be reached at ymanisha23@gmail.com.